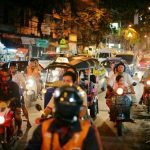 Chiang Mai is Thailand’s second largest city – the smaller, more relaxed answer to the madness of Bangkok. It was once the capital of the Lanna Kingdom and now is seen as the cultural center of Northern Thailand and a major tourist destination of the country. The city is many traveler’s dream destination, there’s tons to do, beautiful scenery, a concentration of culture, and fantastic food. And if you’re coming here after the madness of Bangkok, you’ll surely find it a welcomed relief. 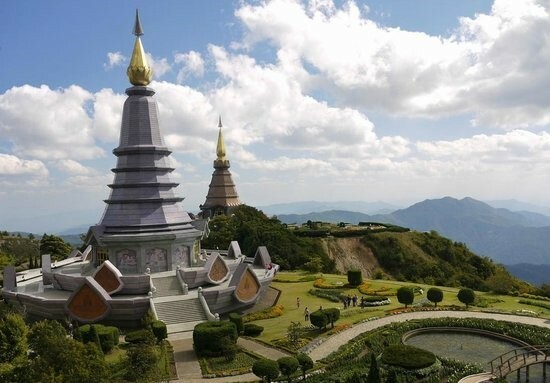 There are many famous tourists attractions in Chiang Mai such as Wat Prathat Doi Suthep, Doi Inthanon, Chiang Mai Gate Market, Elephant Nature Park, etc. However, today we will look for something more special, some unique taste of Chiang Mai. This “canyon” is an old quarry, it’s not like the place is a secret location but it still has a feeling of being relatively unknown to most travelers passing through. 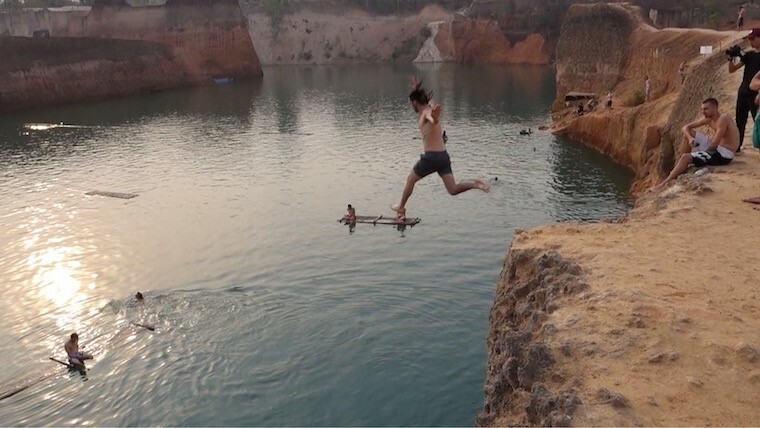 Just a 40-minute drive from the Chiang Mai, a trip here will allow you to escape the city and soak up while watching a handful of daredevils make this 50-foot jump. If you are a confident cliff jumper, we would suggest making the leap! It’s a great experience. Chiang Mai Women’s Correctional Institution has a massage rehabilitation program in order to help the inmates easily integrate into society and learn marketable skills. There was an hour wait when I went to get my foot massage, but they have a little cafe with tasty beverages and an outdoor patio to enjoy while you wait. So, here’s the question everyone is wondering… What are the women in prison for? Could you potentially be massaged by a serial killer? The answer is “No” of course! Most of the women are serving short sentences for minor crimes. 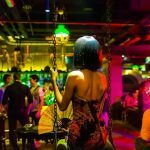 The women are also allowed to save their wages and tips for their release date.The only thing that distinguished this establishment from the hundreds of other massage joints in the area were the women wearing police uniforms that paced the room every once in a while with clipboards in hand. The massage I get here was not the best that I have gotten, but I felt good contributing to this organization and help these women get a better life for themselves. Unlike Pad Thai and Green Curry, this Thai dish is not very well-known in the world, but it should be!With a Burmese influence, this dish most commonly found in the north of Thailand, and Chiang Mai is a perfect place to try it. The dish is a combination of egg noodles, coconut curry broth, chicken, shallots, lime, and chilies make each bite of this dish a party in your mouth! It is typically topped with crunchy fried egg noodles and served pickled vegetables on the side for a flavor and texture explosion. 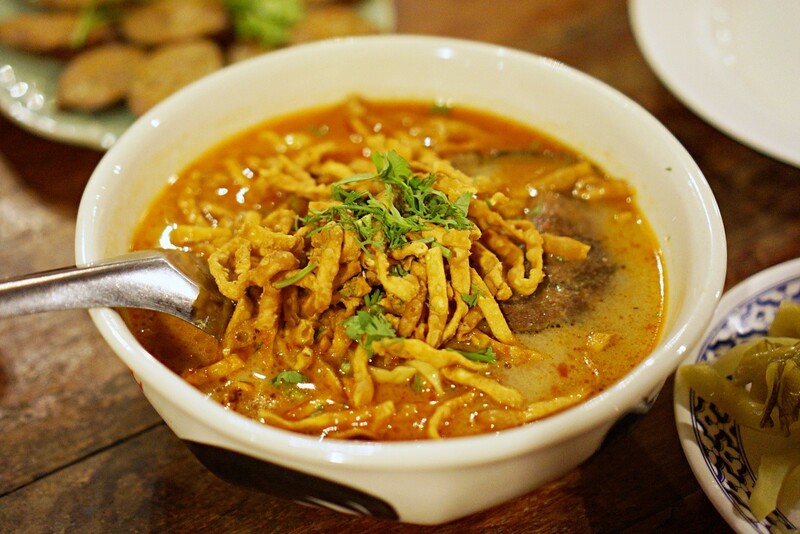 Khao Soi can be found easily in many street vendors in Chiang Mai, the price is about 30-40 Thai baht a bowl (0,8 to 1,1USD). 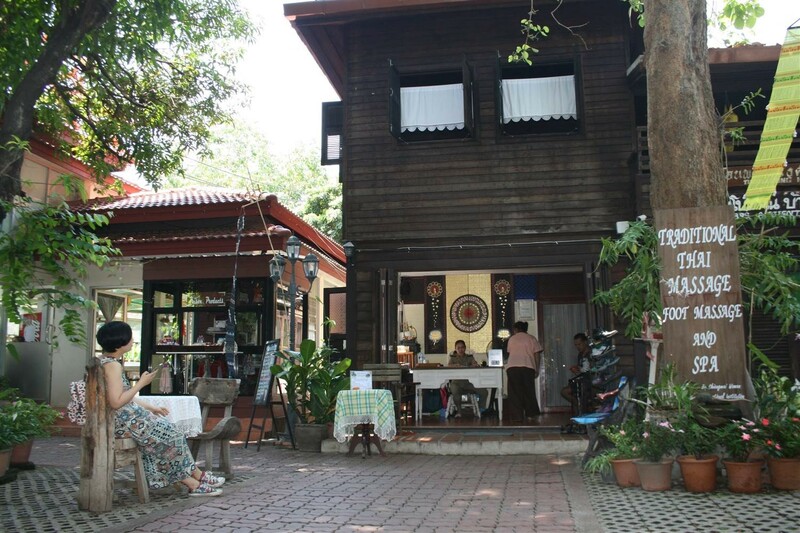 While visiting the wats of Chiang Mai, there is an opportunity for a unique experience. A few of the temples in the city have a “Monk Chat” program where visitors are able to speak to the monks about almost any aspect of life. This is the perfect opportunity for you to get insight into their lifestyle and beliefs. Temple of the Great Stupa (Wat Chedi Luang) Daily 9am-6pm, most abundant on Saturday & Sunday Mornings. Doi Suthep Temple: Daily 1-3pm. Flower Garden Temple (Wat Suan Dok): free Monday, Wednesday and Friday 5-7pm; you can also do a 2-day meditation retreat weekly on Tuesday & Wednesday. Wat Umong: Available Monday, Wednesday, and Friday from 5:30pm-7:30 pm. MCU Buddhist University, Chiang Mai Campus: Monday, Wednesday, Friday from 5-7:30 pm. 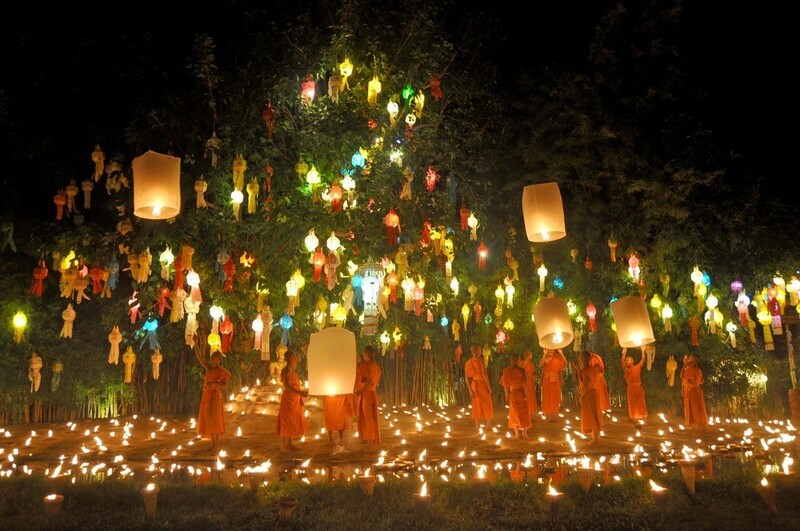 Wat Pan Tao lantern ceremony: Watch young monks light hundreds of candles and release wish lanterns in a beautiful ceremony. 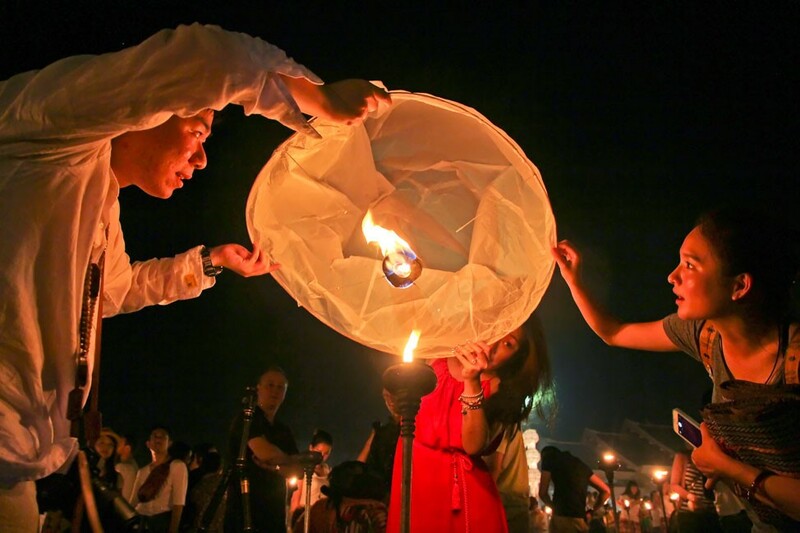 Release a wish lantern: Head to Tha Phae Road near the Ping River and buy a lantern from one of the many vendors (30-40 baht), make a wish, and then release it. The sight of hundreds of lantern float into the night sky amidst hundreds of others is truly spectacular. 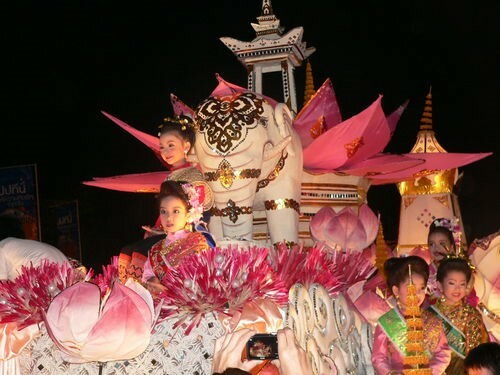 Observe the parade: Each night of Loi Krathong boasts a parade bigger than the last, with the third night being the best. Watch the beautifully dressed people proceed past you, or watch from the comforts of a bar on Kotchasan Road with a beer in hand. 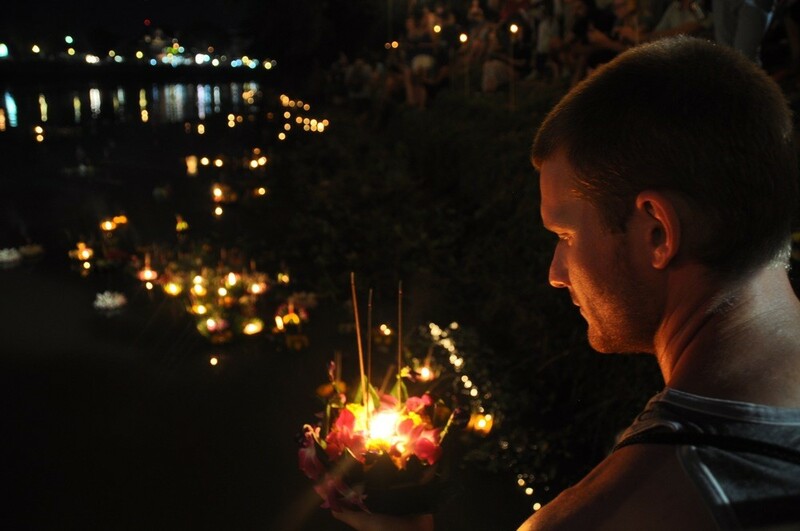 Float a Krathong down the river: you can purchase your own Krathong from any street vendor (30-60 baht) near the Ping River. Light 3 sticks of incense and release it onto the water. This is a symbol of letting go of the bad in your life and welcoming the good.